You cannot fool people. I am geeky. I like Harry Potter and will rant to you about Sci-Fi shows like Firefly or Battlestar Galactica if you let me. I wear glasses. I will snort if you make me laugh hard. This nerdy ship has sailed. If you don’t like Harry Potter, you are evil. If you haven’t read the series, you are excluded from this statement. You don’t know what you’re missing and you’re being stubborn for some reason or another. Whatever, that’s on you. If you have and you don’t necessarily like the books, you are evil. JK Rowling made a very distinct morality and she drew conclusions based on the standards of good vs. evil. Anyone who turns their nose up at this 7 book series does not know Jesus (just kidding, I don’t define good as Jesus, don’t be ridiculous). I am Unbeatable. Obviously this is a blanket statement but it’s more a state of mind. Hence, the title of my blog. This is the origins of winning. I tend to think I’m awesome (because I am) and I generally win. 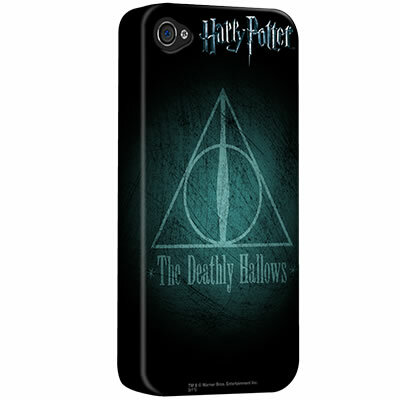 The Deathly Hallows are presented as unbeatable. This could be a pick up line. “Do you like Harry Potter?” is not only a great opener but it helps me determine point 2 above. It’s not a great pick up line, sure, but it’s effective. If we have an amazing conversation about Harry Potter to get to know each other, we’re halfway married (oh, shut up, not like “legal marriage,” the fake marriages us gays have). Lists are best done in 5s. Everyone knows this to be true so I don’t even need to prove this point. So that’s how it shakes down. I know how nerdy and ridiculous I am and I’m not trying to hide it. Now my iPhone is just another facet to allllllllllllllll that is Kim Wetter.